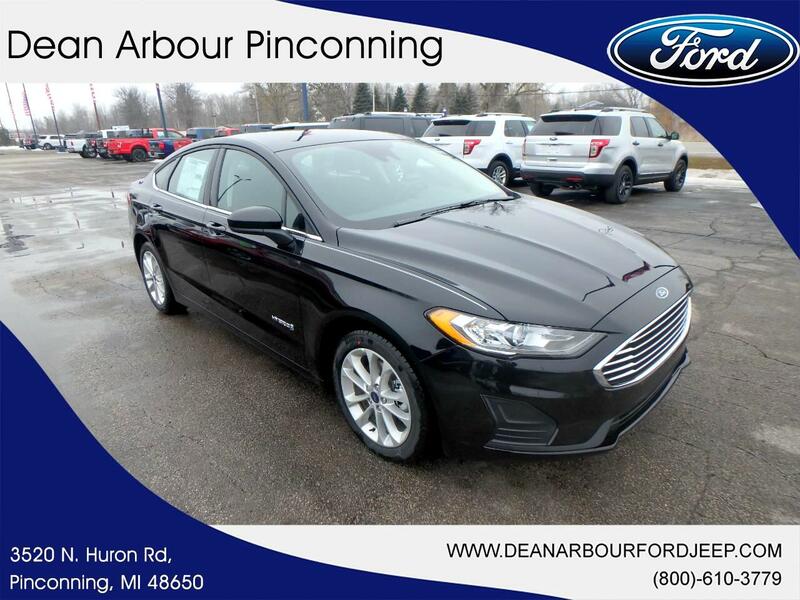 This new 2019 Ford Fusion Hybrid in Pinconning, MICHIGAN makes driving fun again. It's a v4 Agate Black car that makes commuting to and from work a little less stressful. Drive to Dean Arbour Jeep Eagle and test drive the 2019 Ford Fusion Hybrid.